I hope you’ll join us for a book giveaway on Periscope! 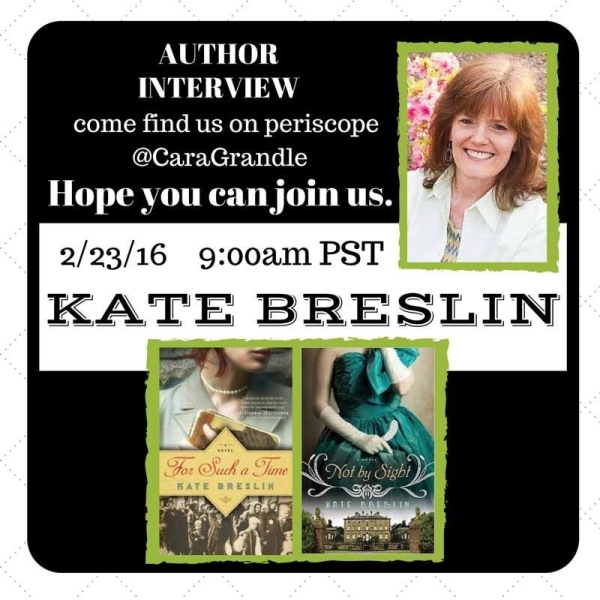 @CaraGrandle will host me LIVE in a Periscope webcast Tuesday, February 23 at 9 a.m. PST. We’ll talk about about my journey to publication, some of the challenges, and what I’ve learned along the way. I’ll share a bit about my next novel and answer questions from viewers.